Norma Klein, the daughter of a psychoanalyst, attended progressive schools before studying at Barnard College, Cornell, and Columbia. She originally wanted to become an artist, but said she decided to become a writer when she was unable to find books written about the kinds of people she knew, or who held her interest. Along with Judy Blume, she became one of the early pioneers of young adult literature in America with her realistic novels and short stories. She attributed her portrayal of alternative lifestyles, such as the single-parent family in Mom, the Wolf Man and Me (1972) or the lesbian mother and her partner in Breaking Up (1980), to her liberal upbringing in New York City. Her works dealt openly with other controversial issues as well, such as racism, divorce, abortion, and death, which may explain why Publisher's Weekly listed her as one of the most frequently censored authors in America. She died after a short illness. Her papers are housed at the University of Minnesota. 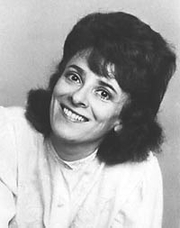 Norma Klein is currently considered a "single author." If one or more works are by a distinct, homonymous authors, go ahead and split the author. Norma Klein is composed of 2 names. You can examine and separate out names.